1) Heat coconut oil on medium in a pan and first roast coriander seeds, urad dhal and red chillies for about 4-5 minutes. 2) Then add in half of the garlic cloves (4), curry leaves and the dried coconut and roast till coconut is dark brown (since we are using dried coconut it's easier to achieve this step quickly). 3) Add the tamarind piece and stir for a minute more before switching off the stove. Finally add the remaining garlic cloves. 4)Allow the mixture to cool completely and grind to a powder. Store in a clean, dry jar. p.s. 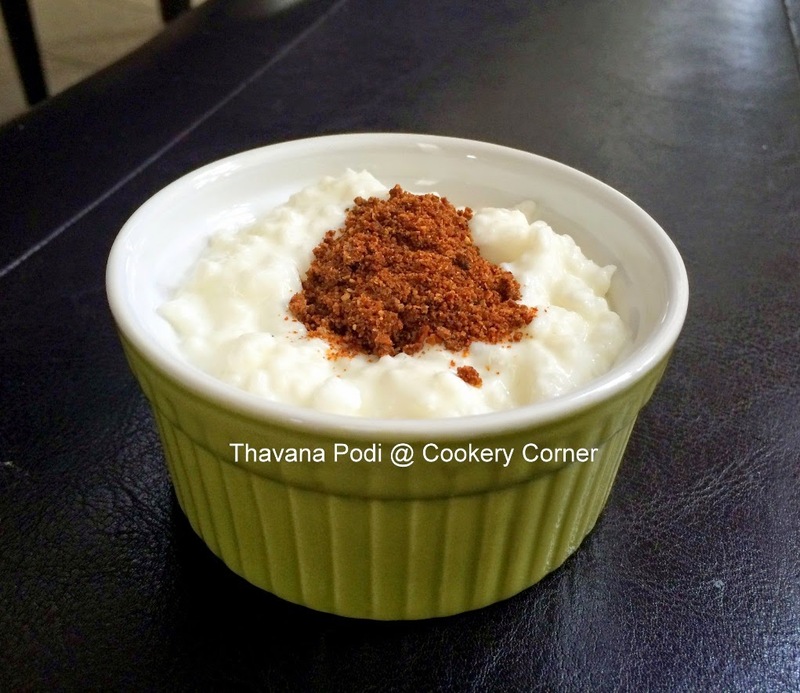 Athai explained that the reason for adding some of the garlic cloves without frying is to lend a bit of moisture to the podi that helps the texture of the end product.